To truly let your property shine, consult the innovative landscape consultants at Dragonetti Brothers Landscaping. Priding ourselves on creating inspiring, meaningful and detailed landscaping solutions, we work closely with you to transform your space into a unique and personalized piece of natural art. Landscapes are crafted for you to enjoy — and we begin our design process with a courtesy consultation to determine your desires and hear your ideas for the space. During the consultation, one of our experts will visit the area to gain a sense of the possibilities, possible timelines and budget considerations. By working with you closely, early on in the process, we can begin designing a new landscape that fits your lifestyle and personality and makes you excited to come home. Based on our initial consultation with you, our visionary landscape designers begin crafting a space customized to your specific expectations. Our team stays up-to-date with the latest landscaping trends, including materials and plant life, to create exciting plans and designs. From there, we provide you with simple but detailed CAD drawings and colorful hand-rendered plans so you can begin to fully experience how your space will be transformed. With these renderings, we also include photos of every plant and detail along with line-item budgets, so you can provide any changes and feedback. With today’s sophisticated computer modeling technology, we then combine our CAD images, hand-drawn plans and your specifications into an advanced and detailed one-of-a-kind 3D rendering of your customized landscape design. Every plant and structure, like buildings, walls and patios, are given lifelike dimensions, including accurate terrain elevations and realistic light and weather conditions. This technology then allows you to actually walk through your unique, stunning design in real-time, like you’re strolling through the completed space. Do you want your commercial property to stand out and offer a relaxing bite of nature to the expansive New York City metropolis? Our creative team of landscape consultants has worked with a variety of different commercial properties including apartment buildings, businesses, hospitality venues and historical buildings to provide unique and inviting landscape design and development to fit your needs and budget. Once your new landscaping is installed, our team of professionals will then help you maintain the space to keep it looking fresh and pristine. Elevate your home’s landscaping today and experience the high-quality touches, detail and vision of Dragonetti Brothers Landscaping. Now is the time to enjoy a unique and personalized outdoor setting where you can relax or host friends and family in a beautiful location found nowhere else in the city. Located in New York, we specialize in working on landscaping throughout Manhattan, Queens and Brooklyn. 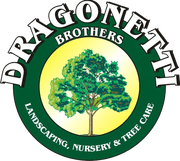 Dragonetti Brothers Landscaping is a family-owned and operated company with over 40 years of experience. Our team is fully licensed and insured. For all of our customers, we provide free quotes and pride ourselves on offering complete and professional services to our wide range of clientele. Schedule a consultation with one of our New York-based landscape consultants today by contacting us at 718-451-1300 or completing our online contact form.